El 1/2″ (media pulgada) Thingamabobber es excelente para ninfas pequeñas, 14 a 20, especialmente cuando hay mucho viento. Ya que tiene una resistencia muy baja en el viento. 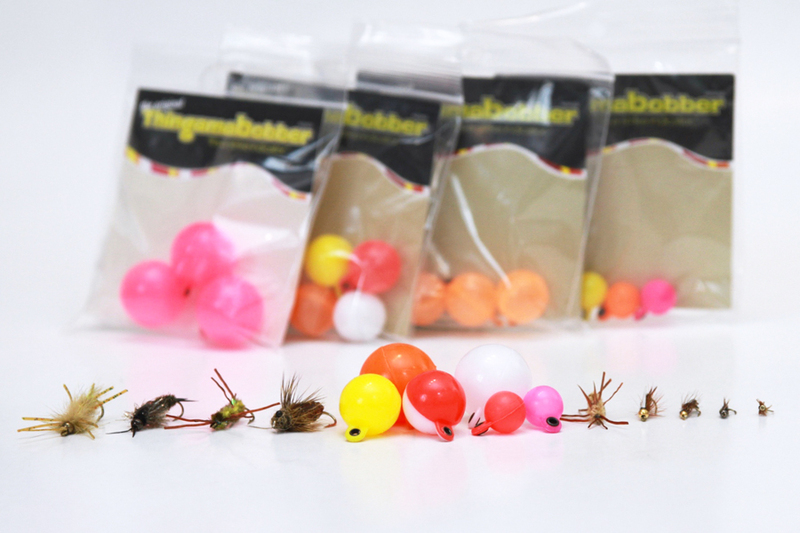 These 1/2 inch Indicators are excellent for casting small nymphs, 14 to 20 range especially in windy conditions. It has a low wind profile in the water and in the air. El 3/4″ Thingamabobber no es para ninfas livianas pero es para ninfas mas grandes como “stone flies” #6, ninfas con tungsten, o cuando uses dos ninfas con “split shot” (plomo). These Indicators are not for light nymphs or for suspending wet flies. It is for larger nymphs like #6 stone flies, tungsten bead head nymphs and two fly rigs on medium and large rivers. El 1″ Thingamabobber es excelente para ninfas grandes y pesada, para leaders con mas plomo, para areas del rio profundas y rapidas. Todas las medidas son liviana; ademas lanzan, “roll cast” y “mend” muy bien! This indicator is excellent for fishing #4 stone flies, nymphing with a lot of lead, fishing deeper faster water holes, or when nymph fishing for steelhead. It is light weight for its size and it casts and roll casts exceptionally well.